I’m always on the hunt for a new way to help ease Oliver’s teething pain. We’ve tried various teething toys, some have worked, some haven’t. But I’m always on the lookout for something that will help. When Matchstick Monkey got in contact asking if we wanted to try one of their teethers, the answer was a firm yes! 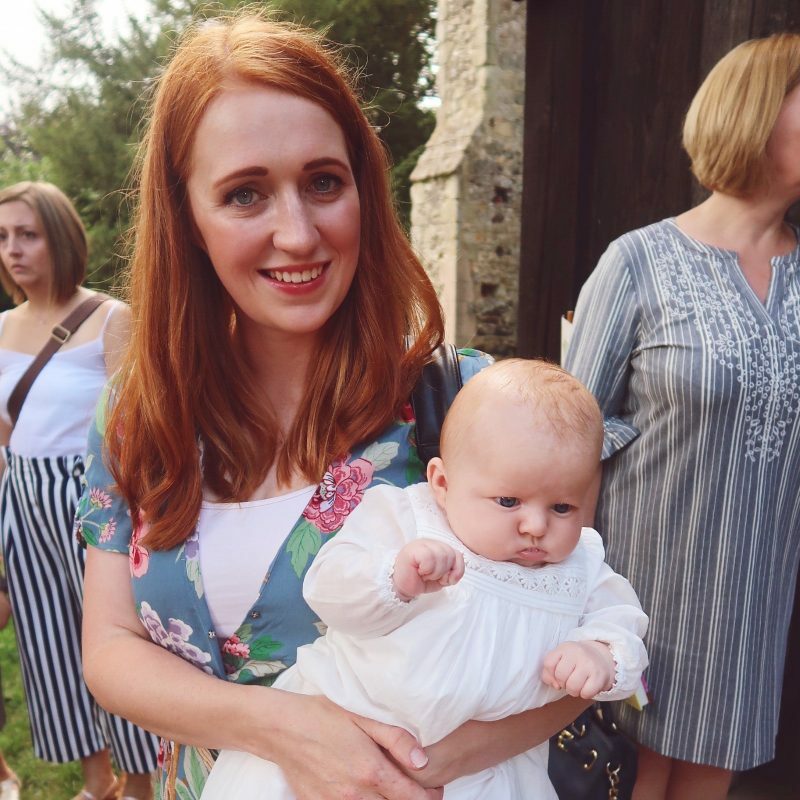 Matchstick Monkey was developed by a brilliant Mumpreneur, Katie. She saw there was a gap in the teething market. We’ve all struggled to apply those teething gels and granules directly to our babies gums, only to find our fingers been used as a chew toy. The Matchstick Monkey is made of silicone, and the rear of the monkey’s head has a bumpy toothbrush like feature. This will easily hold the gel/granules so you can direct them straight to the source of the pain! 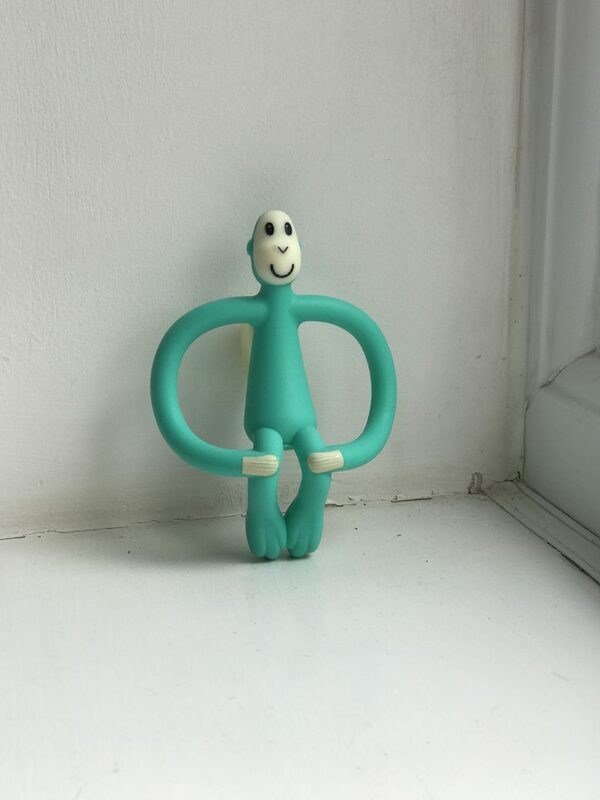 The arms of the monkey make it easy for your little one to grab hold of and easily manoeuvre it to the the sore spot. 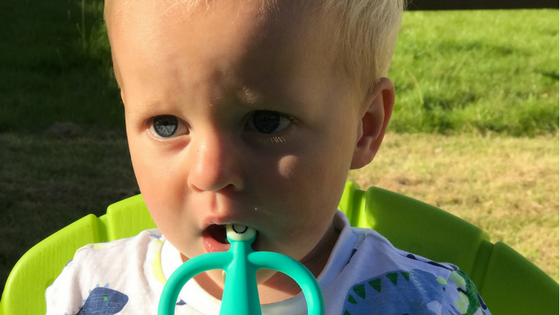 We’ve been using it for the past month, and although Oliver was only teething for a few days of the month, it definitely became one of his go to teething toys. I loved that I could easily give him his teething granules. I would load some on and he would take the monkey from me and stick it right to the back of his gums. I’ve never had much luck with teething toys and Oliver. 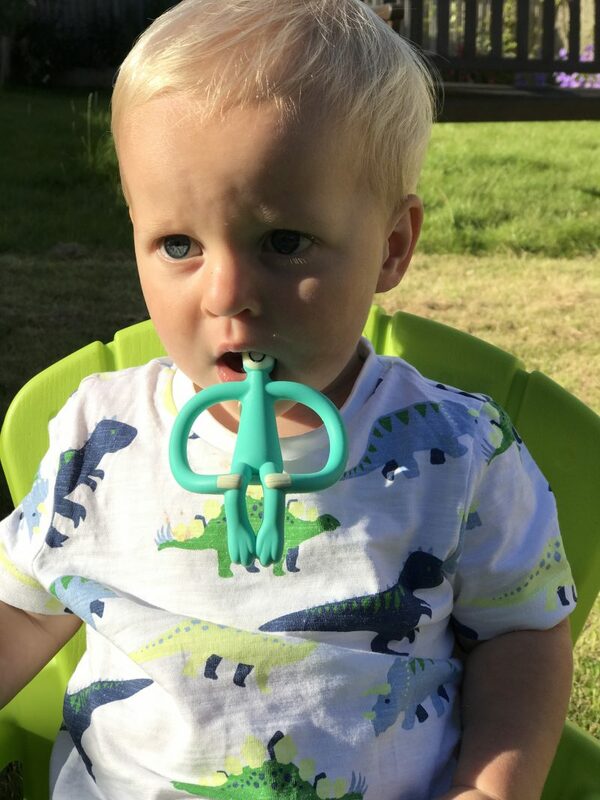 We have tried so many that he wouldn’t use for their purpose, so it was nice to finally find something he actually used to ease his teething pain! I really love the colours they come in. We chose the green monkey, but they also come in grey, yellow, orange, pink and red. It’s dishwasher and freezer safe, and at £9.99 each, I think they’re pretty reasonably priced as well. You can buy them here.